Pleasant, Fun, and Ready to Freshen & Brighten Your Home or Office. Call Pete Today and $ave! When it comes to buying or selling a home, the first impression is everything. Curb appeal shouldn’t be taken lightly. 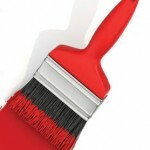 One the easiest and most effective ways to create a positive first impression is through paint. It is very important to have a home looking its best when a prospective buyer drives up to the home. Painting the exterior of a house, before it is put on the market, may give you the advantage that you need. 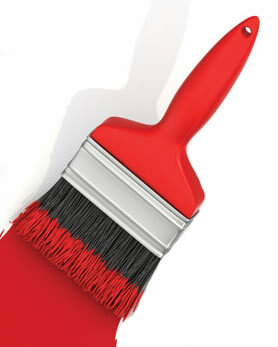 When painting the exterior of a house, be sure the colors selected are in harmony with the colors in the neighborhood. The interior of a home is equally important when trying to make a good first impression. If the home has wallpaper; it is best to remove it, leaving it may give the buyer concerns about the work they have to do later to the home. The same is true if the interior of the home is painted custom colors. You may love the blue bathroom, or the red wall in the dining room, but they may not. To most people, color is a personal way of expressing themselves. Often times, people think painting the walls white is the best alternative, giving the new homeowner a blank canvas to work with, that’s not always true. We recommend that you select warm or neutral colors that appeal to the majority of people. This will give a presentation of a warm comfortable feeling that would be best to project. A freshly painted home can increase the value of the home; the new homeowners will not be concerned about having to paint their new home in the near future. Putting a fresh coat of paint on a home before listing it can emphasize the homes best features, it can give you the best bang for your buck. It can also help you appeal to a wider range of buyers which leads to more people willing to submit offers for your home. In the end, it will help you with a higher selling price. In conclusion, before you list your home, please contact Martinez Custom Painting at 520-881-0542 for a free quote. We can help you make a positive first impression and exceed expectations!